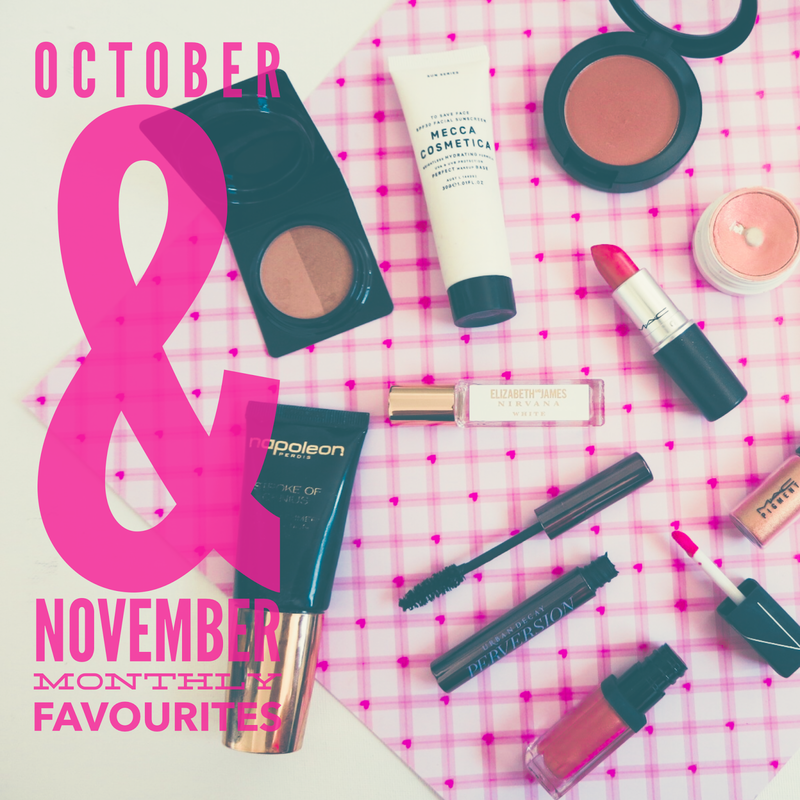 As promised this month I'm doing a combined favourites post for October & November since I missed last month while overseas. 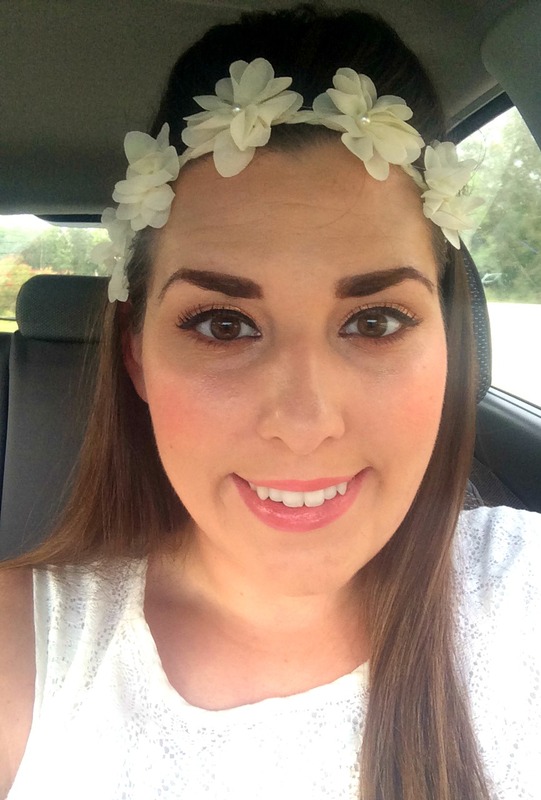 I used a lot of my HG's and favourite products that have already been featured on the blog throughout my trip. 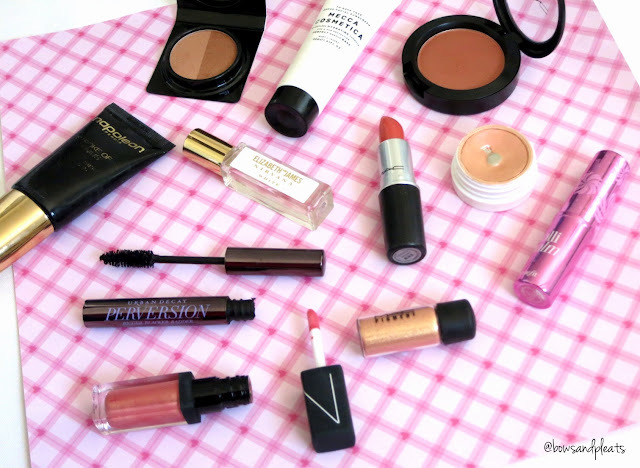 You'll see a lot of what I used in my What's in My Travel Makeup Bag Take Two post which will be coming to you very soon. Today's post has a lot of newbie favourites that I've been loving lately. This is such an underrated foundation! As you can see I used it so much on my trip the writing has pretty much worn off the bottle. This foundation has a beautiful medium finish that is demi-matte and makes the skin look flawless. I have this one in Look 2 so it's great for when I am leaning more pale, which I was throughout most of Canada and the USA where it was freezing. 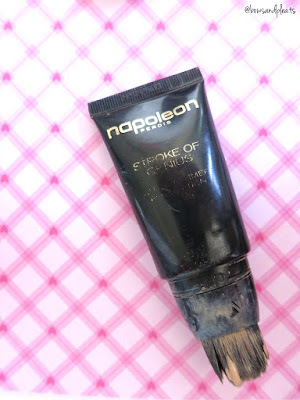 Although the applicator for this foundation looks super gross, and is a little annoying to squeeze the foundation through the brush, I clean the brush part regularly and just get the foundation out and add it to a flat top kabuki for application. It also has a twist top so you can twist it OFF so that no foundation will come out when you are traveling. I always get compliments on my skin when I wear this one and I find it lasts amazingly well throughout the day and works well in humidity/heat without breaking down. This is a cute little mini mascara that I thought would be perfect for my travels. I hadn't tried this one before my trip but had heard good things, and ended up loving it! It has a very dark black formula that coats the lashes easily and creates volume and length pretty equally. I like buying higher end mascaras in mini versions so I can test the formula without the big price tag but I found the size of this one was very useable and I'd probably purchase this size again rather than forking out for the full-sized tube. As you can see by my MAJOR hitting pan on this eyeshadow from Colourpop, I am in love! This is a super cool metallic duo chrome shadow from their Rebound collection which I couldn't see any longer on their website. 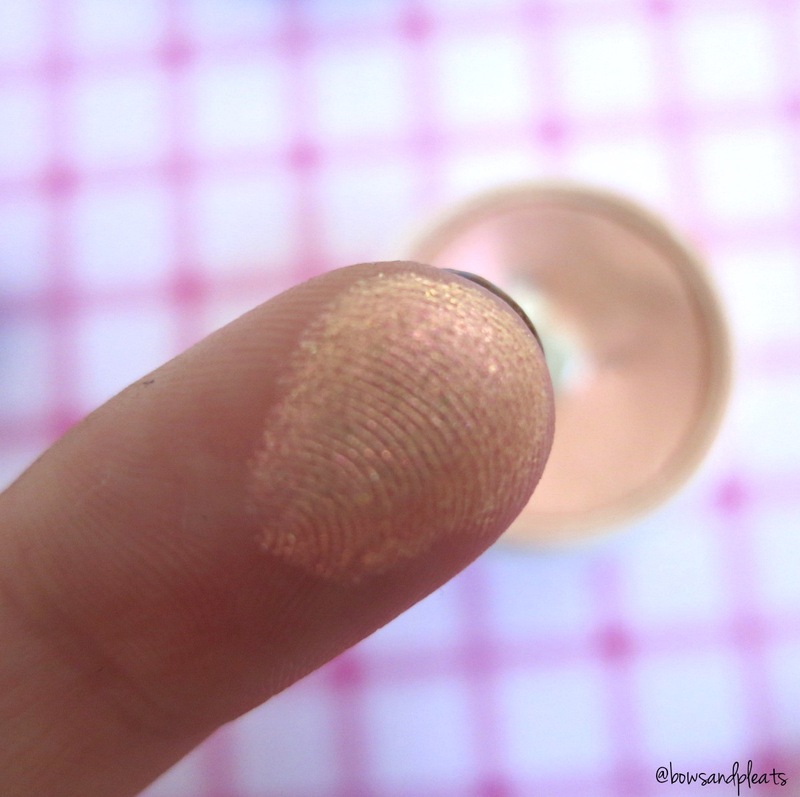 Although it looks like a pretty plain golden peachy shade from the outside, as soon as you swatch this colour you can see reflects of pink and silver glitter. It is so gorgeous to wear alone on the lids when you are in a hurry but you want to look put together. This also pairs really well with black winged liner and some mascara. I've also used this as an eyeshadow base and paired with a peachy colour in the crease and it looks amazing. So in love. Described as a gilded peach with pearl blush, this is a stunning blush for the summer months that has hints of shimmer to make the cheeks look bronzed and glowing. I have also been loving this product when used in the crease to create a gorgeous peachy bronzed eye look. 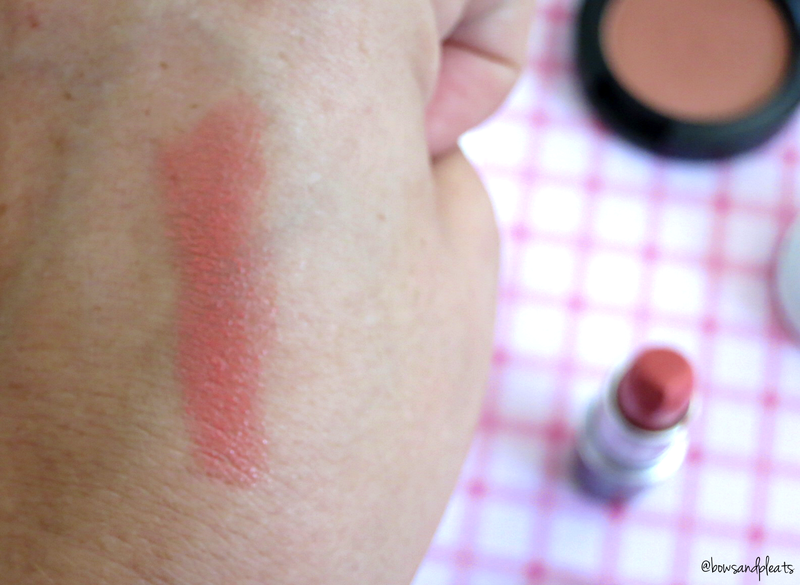 I have swatches of this baby coming in a MAC haul that I'm working on! It may not look like much in the swatch, but on the lips this is a perfect summer colour. 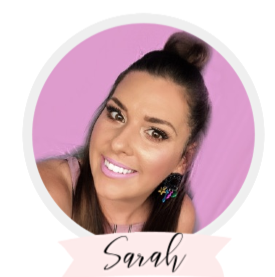 It is described as a light peachy coral, and it delivers enough colour to add some life to your lips but is also quite moisturising and shiny. 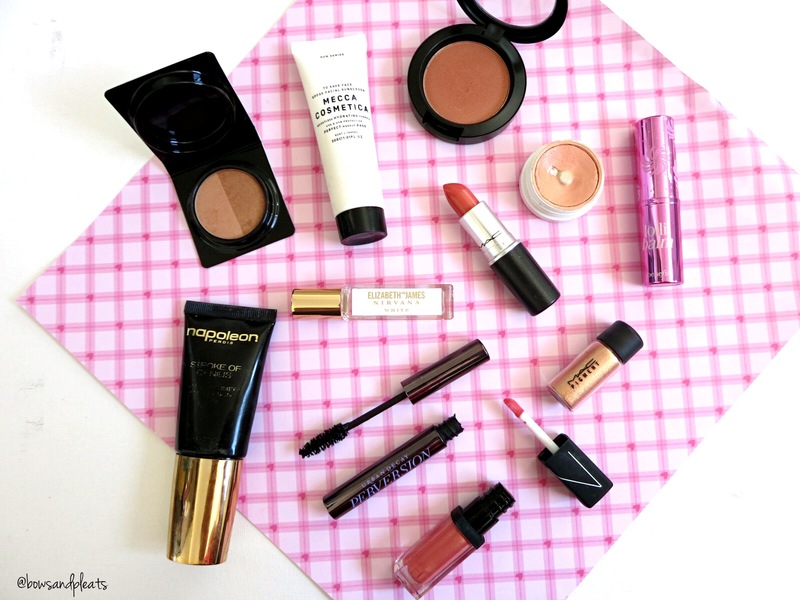 This lipstick looks amazing paired with a bronze or copper eyes or even a smokey look. A must have for the warmer months. Another purchase from Sephora, and this one is available exclusively through their stores. I thought I'd include this one because I have been wearing this scent a lot lately and really enjoying it. I'm obsessed with rollerball minis because they are so much more practical for reapplying & easy to carry in your purse without having to worry about spills. I had heard a lot of hype around the black nirvana scent, but I picked this one up to use first and it's a gorgeous scent. 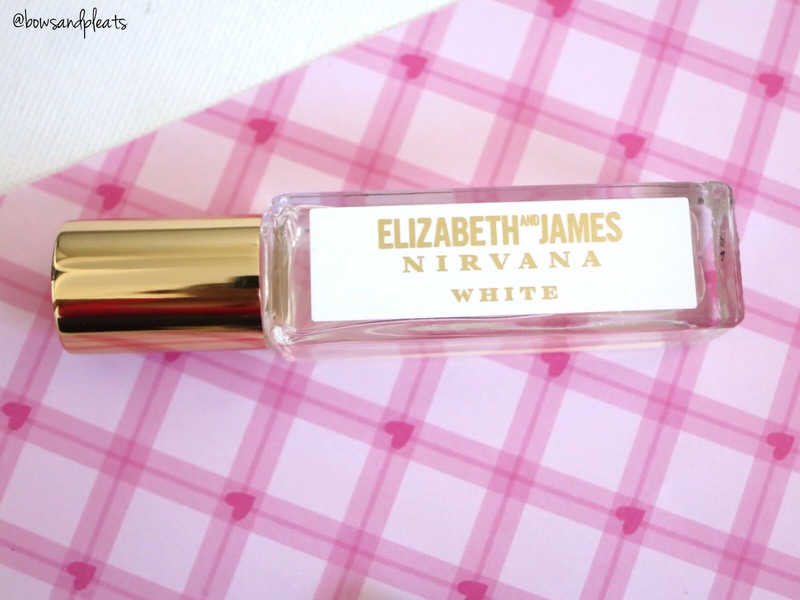 The fragrance contains peony, muguet and musk which creates a feminine but sophisticated scent. I generally don't like anything too floral but this one has the right amounts of floral and musk to create a really delicate, pretty perfume. I already own Sun Bunny from a few different Too Faced palettes, but I got this mini version when I purchased the Too Faced Beautifully Blushed & Bronzed Set from Sephora. You can of course buy this on it's own so the mini is a great way to see if you like it. 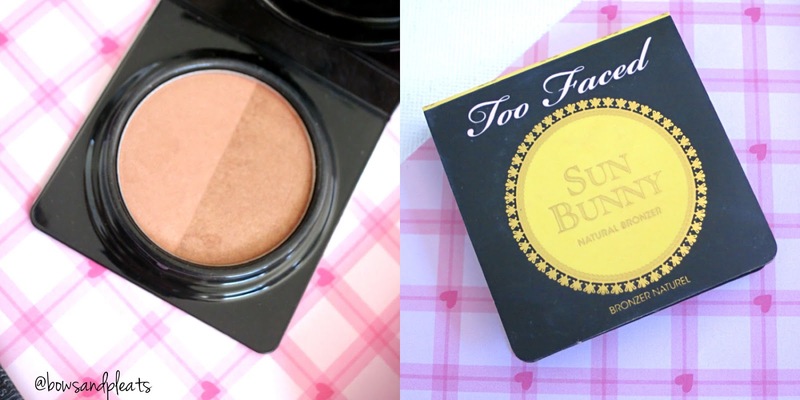 I'm a big fan of bronzers that have a hint of shimmer, and I like that Sun Bunny offers a light and dark shade, or the option to swirl both together. Since being back in Brisbane's heat, I've been faking my tan by using some of this around my face to get that sunkissed look. It's so pretty and I love having this size to throw in my handbag for easy access. This is literally the best facial sunscreen I've ever used. When overseas, I used this as a moisturiser, sunscreen and primer all in one since it is hydrating, lightweight and covers over pores and fine lines just like a primer. 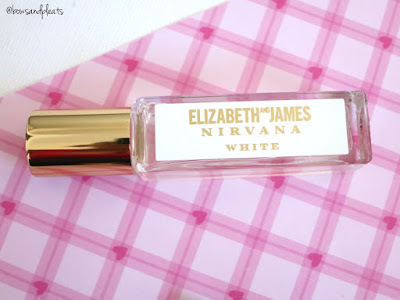 This is an amazing makeup base and comes in a convenient 15ml size. I'd say I will probably be purchasing the full size to use over the course of the summer. It doesn't have that overpowering sunscreen smell, it isn't greasy at all, sinks into the skin quickly and dries matte. I would highly recommend this one ladies! 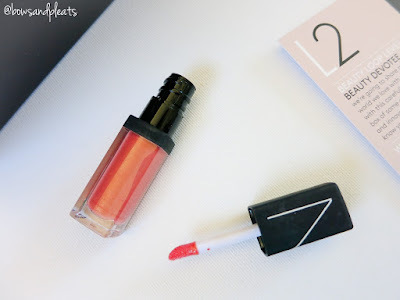 I received this lip gloss as part of a previous Mecca Maxima Beauty Loop level 2 box (all explained here) and it is the nicest lipgloss to add some peachy pink shimmer and shine. I don't find it sticky and the mini size is great to fit into a clutch when you're heading out. This gloss also works well when layered over a light pink or peachy lipstick. I got this last Christmas as part of a Benefit Holiday Pack and I wrote a post about my haul here. I honestly had neglected this tinted lip balm but since being back in Brisbane's warm weather, my lips have been so dry and chapped, and this has been great for adding a touch of colour and lots of hydration. Great to have in your handbag and the cutest packaging! This is an amazing pigment in a soft, bright, golden peach shade that looks amazing, especially on tanned, bronzed skin. I usually apply this by spraying some MAC Fix+ onto my Sigma E55 Shading Brush and then dipping into the pigment to get a very intense colour to pack on the lids. 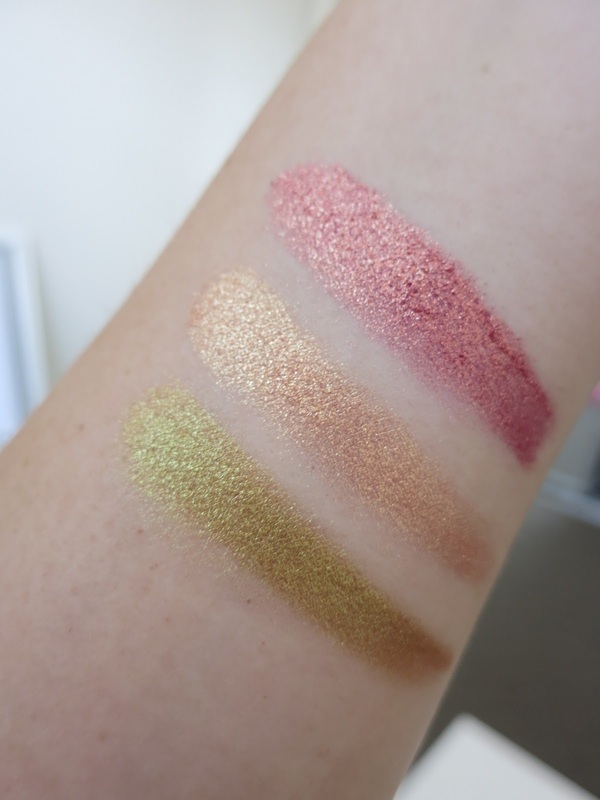 The swatches below are dry, without any primer or Fix+ and as you can see it is still very pigmented. This pigment looks amazing on it's own and has a multidimensional finish so you can create a lot of depth by adding a little bit to your crease. Definitely a great pigment to try that would suit most skintones. 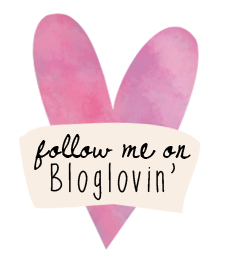 Well, I hope you enjoyed my long list of favourites over the past couple of months! I'm really looking forward to posting some hauls for you guys including things I've picked up from MAC, Sephora and more, this is just a sneak peak! What have you been loving this month? Feel free to include a link to your monthly favourites post or video in the comments below!